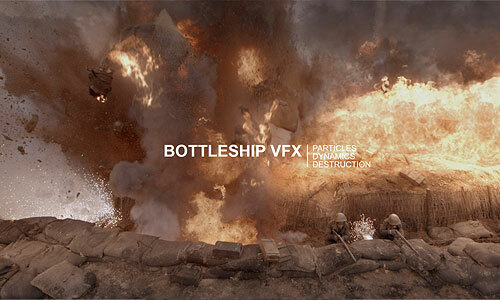 Hristo Velev from Bottleship VFX made his name creating destruction and particle dynamics on spectacles like ‘2012’, ‘Sucker Punch’, ‘Iron Man 3’, among others. Hi is very active in the animation community and has authored several training packages. One of the founders of Bottleship in 2013, positioned as FX lead and general co-manager. Bottleship is a Golden Horse VFX award winner in 2016. Could you please tell us when Bottleship VFX was founded and a bit of the company history? Bottleship was founded in late 2013 by me and Martin Naydenski. We had both had our hands deep in plenty big productions, and I felt like I needed to make the next step forward. Technical challenges had become easier to overcome, and I needed to expand my horizon. We started from zero, with a small project and sheltered in our friends’ office. A few years later, we’re now 15 artists and accumulated a cool body of work, so I’m really happy I went that path. What was your first VFX project? My professional career started in 2009, with the production of Emerich’s ‘2012’ at Pixomondo Berlin. We made the airplane and cars jumping out of it in the Himalayas, which was the most exciting thing in the world for me back then! Everything was tiny - a little farm, not much pipeline, grid resolutions that we consider a preview nowadays. I’m not a big hardware enthusiast and I don’t really remember the CPUs and RAM sizes, but I’ve definitely seen our sim machines go to at least 64 gigs of RAM, compared to 8 or 16 back then. 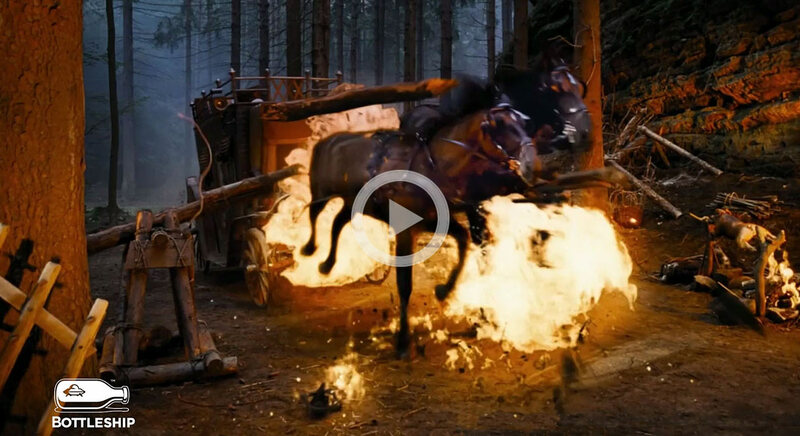 And FumeFX was already established as a core tool - VFX work in movies simply requires so much smoke, dust, mist, fire and all the rest that we do with FumeFX. It pretty much fell in a place that was naturally waiting for it - just like stage technicians always have a smoke machine handy :) . How long did it take you to learn the FumeFX and the workflow? I had used AfterBurn before that, but not as much in a professional setting - I started on big VFX just as FumeFX was gathering strength. Initially it did take some getting used to - figuring out that you shouldn’t try to do too much with the emitter, just let the solver do its thing. Learning how to get the best colors and lights took some time and experimentation too. I’m gonna run a webstream to show some of these things soon, actually. Another big discovery moment came when we started to puzzle effects from lots of simulations, and design it as a collection of many smaller events that could be tweaked and assembled. Fluids work is indeed a journey, you discover new things every day. How often do you use FumeFX in production and which features you use the most? In the pre-Bottleship times, I started with ‘2012’ which was so special because it was my first - the team was great, enthusiasm was high, lots of work and great results! From my latest ones, ‘Iron Man 3’ I feel best about. The movie was good, my effects turned out spectacular, and I got to be a part of an amazing bunch of people. In the Bottleship times, I love how we quickly grow and outdo ourselves every time. Each project is a big step up from the previous ones which feels empowering! We made a quantum leap with ‘Mojin’ which was our first big show and I’m happy we got the Golden Horse award for it. So much work goes into growing the company and the team, and when it works it’s invisible from the outside. The last projects we worked on, ‘The Bombing’ and ‘The Three Body Problem’ were quite huge - multiple terabytes of caches per shot, lots of big shots, many artists and machines pulling together. Fun stuff :) Complexity management quickly becomes the most important challenge as these things scale up. To summarize, either me or brothers in arms on the neighboring desks have used FumeFX on pretty much every single show. From ‘2012’ and ‘Sucker Punch’ in 2009-2010, through ‘Iron Man 3’ and ‘Man Of Steel’ in 2011-2012, to ‘Mojin’ that got Bottleship and our partners at Phenom the prestigious Golden Horse VFX award in 2016. I can’t really speak about our latest work, but I can safely say it’s our biggest FumeFX extravaganza yet! You have worked on the “Leviathan” teaser. Can you please tell us more about your work on this film? That was quite special, because it was a direct connection between Martin and Ruairi Robinson, the director. We didn’t just do FX on it, but created a comprehensive scripted system for the director to design a cloudscape in a visual, intuitive way, piecing lots of simulations together. The explosions from the beast biting off the skiff was fun to make too - explosions are more challenging than you’d initially think, and we’ve spent quite some time designing them recently, and gotten much better. Every explosion scale balances expansion rate, emission smoke/fire/temperature combinations differently, and needs a different approach. You did very realistic fire shots for the Forbidden Empire - what is the secret key for realistic simulations and rendering ? We find some reference of an event happening at the same scale, to imitate the timing and spacing, which is the most important thing - pretty much the way you approach animating a character. The features of the simulation have sizes and motions that you need to make fit with the scale you design for. The emission is especially important - it seeds these features, and you need to lay it out carefully, usually using textures and particles. Then we design the major influencers - the way the temperature behaves, rising and dissipating, turbulence amounts, etc. Then eventually we get to the shader and lighting, which are crucial - you can have the best sim in the world and it’s gonna look unconvincing with the wrong lighting. We often take a blackbody shader as a start point, pick some colors from a reference image and fit to these. We tend to light using 3-4 lights, calibrating the key to the photography plate or CG composite, and then add the fills that set the environment light to the right levels, and put light at all the nooks and crannies, which is especially important for high density sims. Our shots almost always involve a multitude of simulations, and it’s important to lay them out in the most useful way - you want overlapping sims to render together, but you want fast render times and lots of compositing control that come with rendering separately, so we balance these too. Thank you so much for the interview and we're all looking forward to see Bottleship's upcoming work on ‘The Bombing’ and ‘The Three Body Problem’. Copyright &COPY; 2018 Sitni Sati. All rights reserved.